Have you been told depression is biochemical, or that antidepressants work for most people? Have you been told electroshock therapy is scientifically well proven (and safe, and effective)? Have you been told meds take weeks to work? Have you been told that one form of therapy (CBT, for example) is more effective than another? If so, you've been told myths. Now it's time to learn the facts: What does the scientific literature really say about these issues? 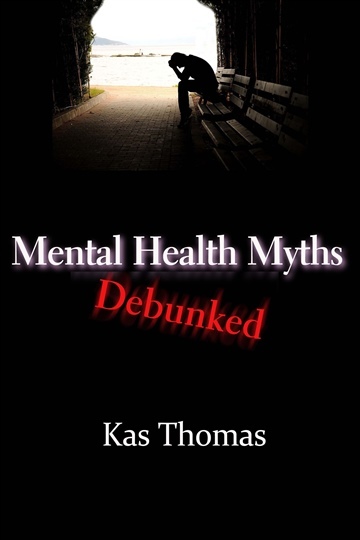 Get the unvarnished truth right here, from top science writer Kas Thomas, whose posts on BigThink.com have gone mega-viral and whose blog (at http://asserttrue.blogspot.com) gets a million hits a year. Learn what even the experts don't know about antidepressants, clinical trials, Cognitive Behavioral Therapy, ECT, the causes of depression, treatment options that work (or don't work), and more! This book will shock, amaze, and delight. It's packed full of actionable information, with links to the scientific literature so you can verify the facts for yourself. Don't rely on half-truths or misinformation when it comes to mental health. Get the facts! They're right here, right now, in this compelling, easy-to-read 112-page book. KAS THOMAS has written widely on technical topics. A graduate of the University of California at Irvine and Davis, Thomas holds degrees in biology and microbiology, and has authored seven software patents (licensed to Apple, Oracle, and others). When he’s not blogging for his regular blog at http://asserttrue.blogspot.com or http://bigthink.com, you’ll find him tweeting to his 300,000+ followers on Twitter. He lives with his wife in Jacksonville, Florida.